A couple months ago, I was buying a teddy bear for my friend's son Daniel at Blabla Kids, when I noticed these gorgeous flowers just next door at a shop called Faith Flowers. I could tell that whoever owned this store was a highly creative person and one who loved the natural world. This flower arrangement immediately caught my eye -which as it turns out, is made from a recycled soda can. 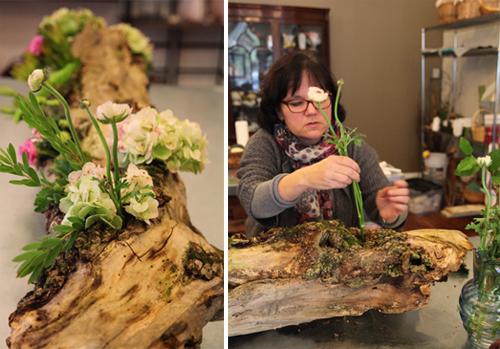 Owner Laura Iarocci has been arranging flowers for decades and loves every minute of it. Lucky for us, she's agreed to share some of her secrets. To make your own soda can flowers you'll need to first head outside. 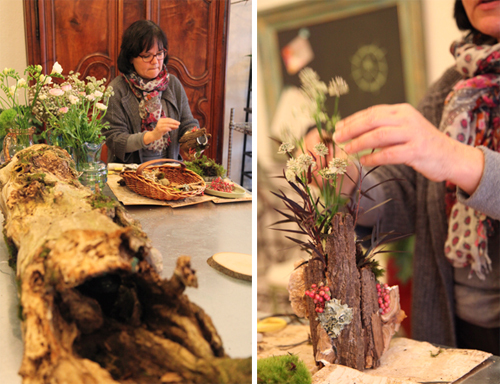 Pick up whatever is of interest to you, especially pieces of bark, sticks, moss, funghi, lichen... You'll also need a glue gun and scissors. Use a pair of scissors to cut a big hole in the top of your can. 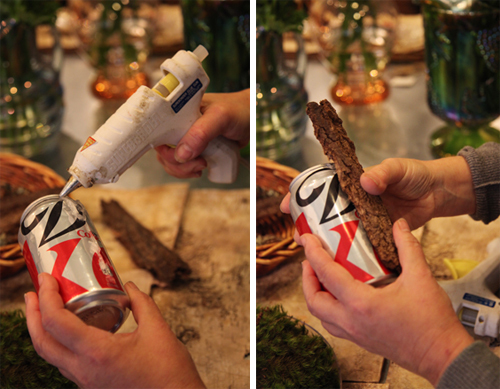 Next, add glue to the can and to the bark (or your favorite found objects). Then one by one, cover your can. It's okay if there are little gaps here and there...that's the next step. Use the smaller objects you have gathered to fill these gaps, such as funghi or moss. I really love the red pepperberries that Laura used, which you can sometimes find at Michael's or at various garden shops. Plus, it adds a great pop of color. And voila. Such a pretty way to display flowers and also a great way to involve the kids- not only getting them to explore the outdoors, but to gather items from outside that everyone can talk and learn about...and be reminded to care about. 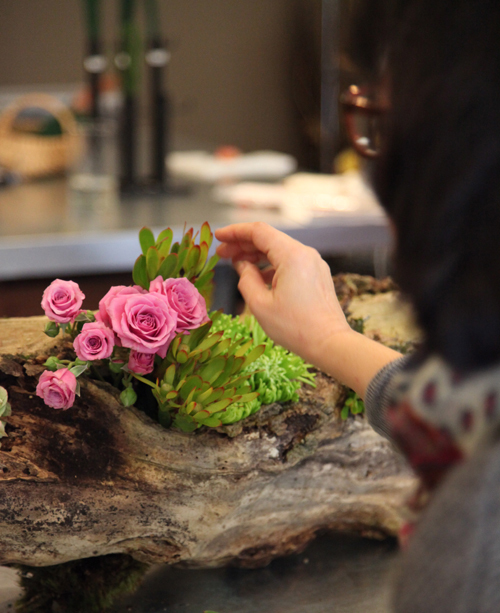 *Check out Laura's site to see all the creative classes she teaches including how-to terrariums, hand tied bouquets and wedding flowers.